Factory Unlocked. All CDMA Carriers Worldwide. Samsung Galaxy S8. Original Samsung Wall Adapter. Original Samsung USB Cable. Original Samsung Headphones. 3000 mAh battery. 5.8" Quad HD , dual edge Super AMOLED display. The Samsung Galaxy S8+ SM-G955 is an ultrafast phone that can be used around the world. Since it is GSM unlocked, you will have no limits with the types of SIM card you may use with it. You may take near-professional quality photos with the 12.0MP camera. With 64GB of internal storage on the phone, you can install a plethora of apps, games, music, and movies without needing to expand your storage. Great phone, the iris scanner works flawlessly and is a great feature. Finger print reader in awkward position, I haven't gotten used to it's position as yet. The user interface fast and responsive. Best part is the amazing display. I would recommend this to anyone who's looking to upgrade their mobile device. The phone is in excellent shape externally. No sign of tear and wear. The burn image is really bad, it make the phone useless on white background. It's difficult to see details when taking photos. I originally had a Galaxy Note 3 before upgrading to this phone. I wanted something smaller but more powerful and it had to be waterproof. It also has expandable memory which is a huge plus for me. Also it has a headphone jack. 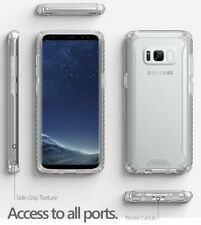 It's a great phone but I have heard it is fragile so I highly recommend buying a case for it right away. The phone was exactly as described,brand new and never been used,great battery life and is incredibly slim.The good part was that the phone was unlocked when I recieved it.I tried both Tmobile and At&t sim cards and they both works great on this phone.Thank you! This is a GREAL DEAL for your money! 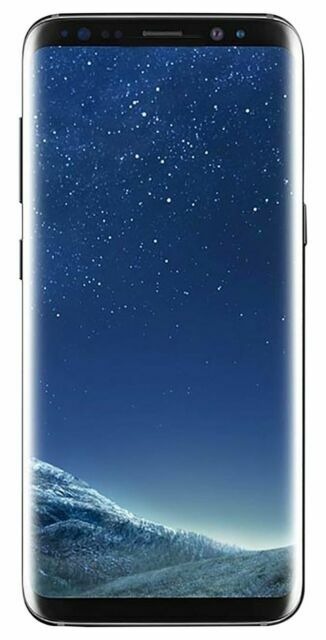 I saw a lot of positive reviews on this refurbished Samsung Galaxy S8+ but I didn't no what to think, became not only the price was very affordable for this type of phone. It's refurbished! So, I took a chance on this and did my reserach hoping this wasn't a scam. And it sure wasn't. The phone is exactly like new, the screen is crisp and clear, I love the sound and also, the super Amoled Screen. When I started the phone it had a Verizon logo. All I had to do is put in my T-Mobile Sim card and that was all. It's even unlocked. So, you can use your phone from different companies GMS of course and all over the world. All I gotta say is. Get this phone for amazing price. You won't be disappointed.